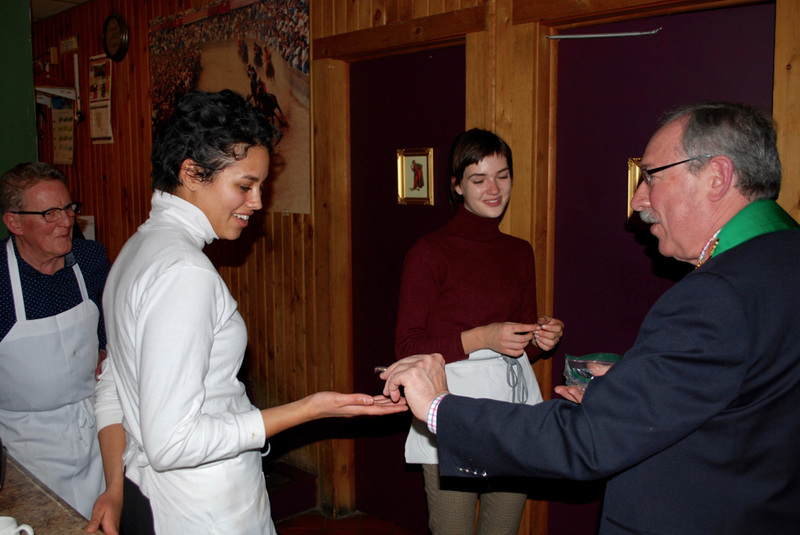 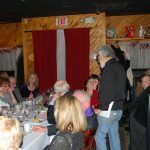 A late cancellation by an Albany restaurant (whose identity will not be disclosed) forced us to scramble for another venue in a hurry or risk losing our December 3rd date. 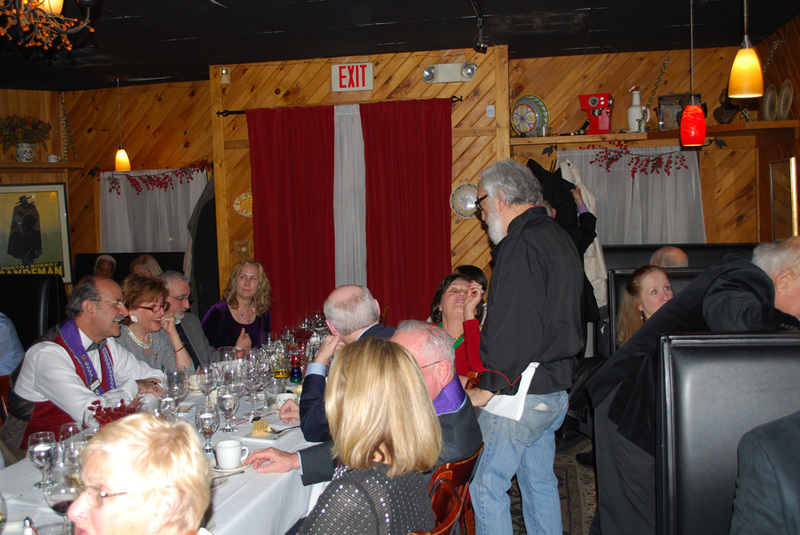 Maître Rôtisseur Jim Rua rose to the challenge and orchestrated his version of “Festa Dei Sette Pesci” or, for those not fluent in Italian, the Feast of the Seven Fishes. 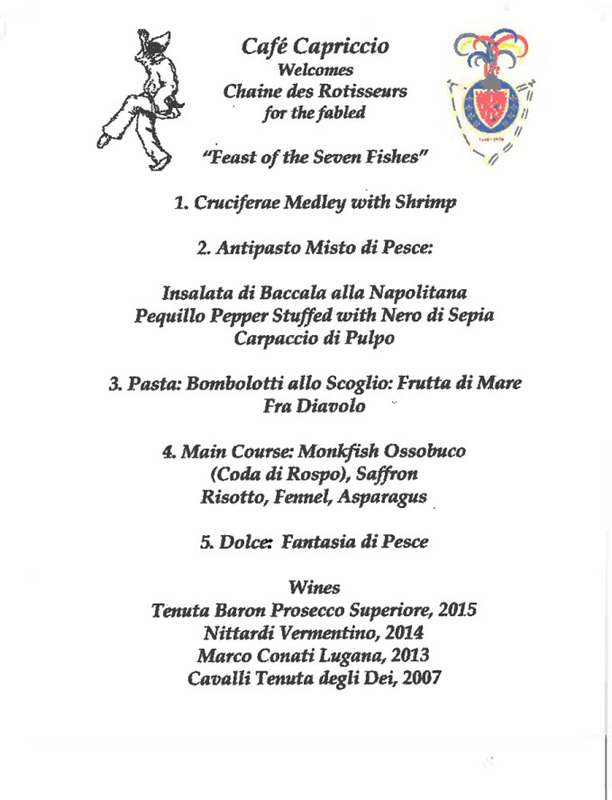 This is a traditional meal celebrated by Italians around the Christmas season, and, as you may have surmised, is comprised only of fish courses, with the exception of the dessert course, because let’s face it, anchovy pie just doesn’t work. 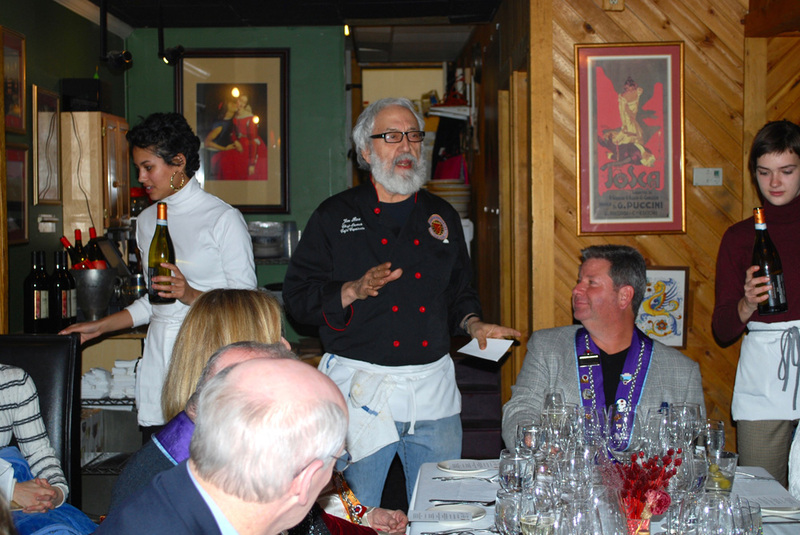 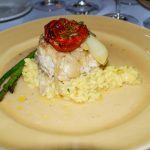 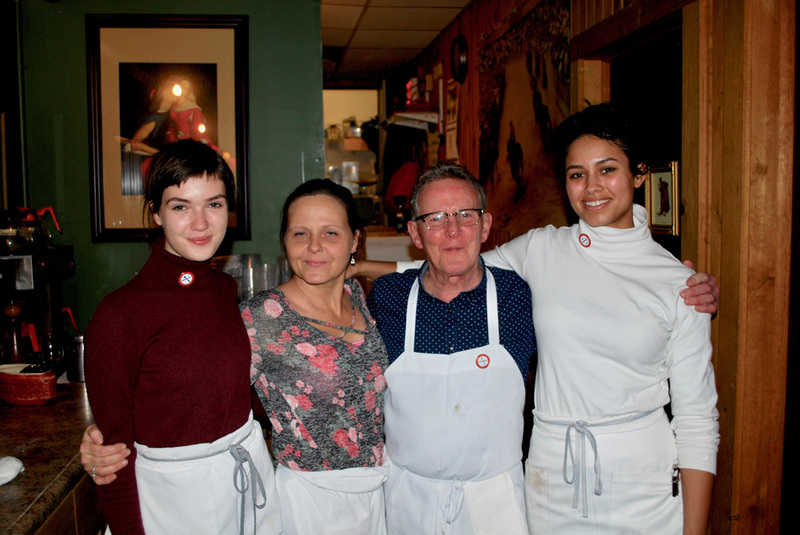 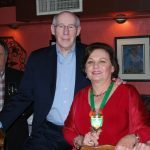 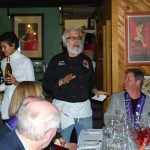 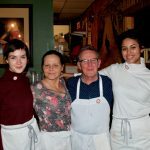 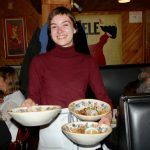 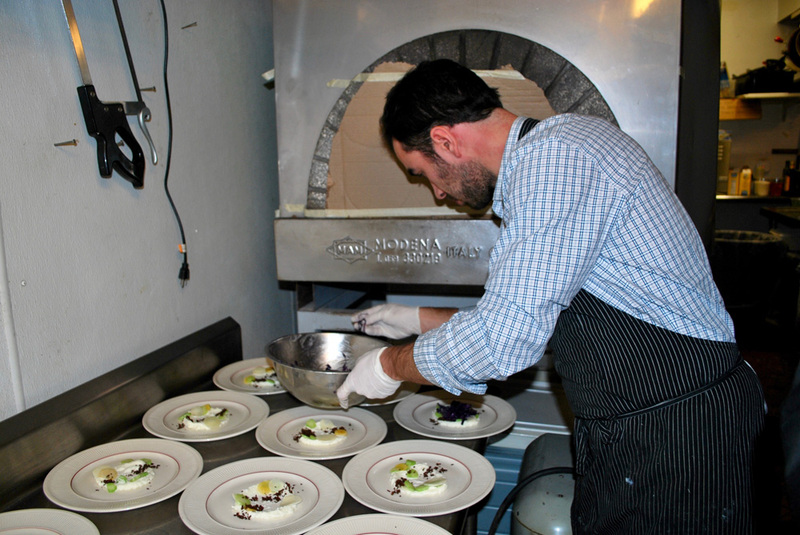 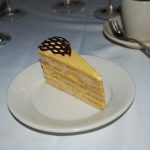 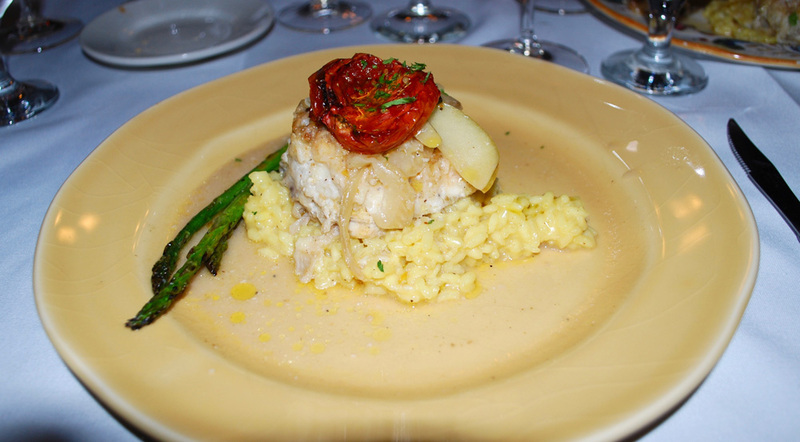 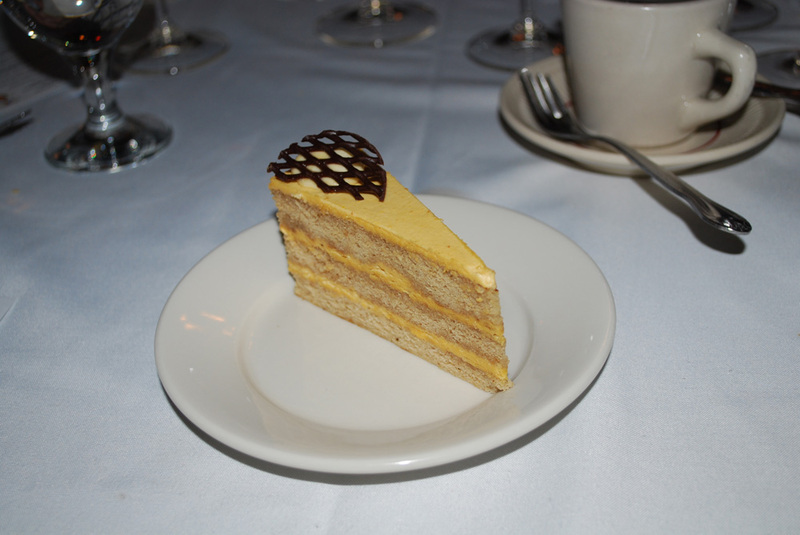 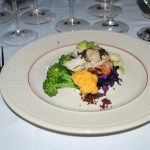 Chef Rua’s restaurant is the cozy and inviting Café Capriccio, one of the best-known and most beloved restaurants in the Albany area, due in large part to Jim’s personal warmth and charm. 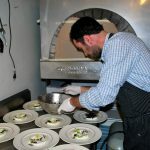 Oh, and he can cook up a storm as well. 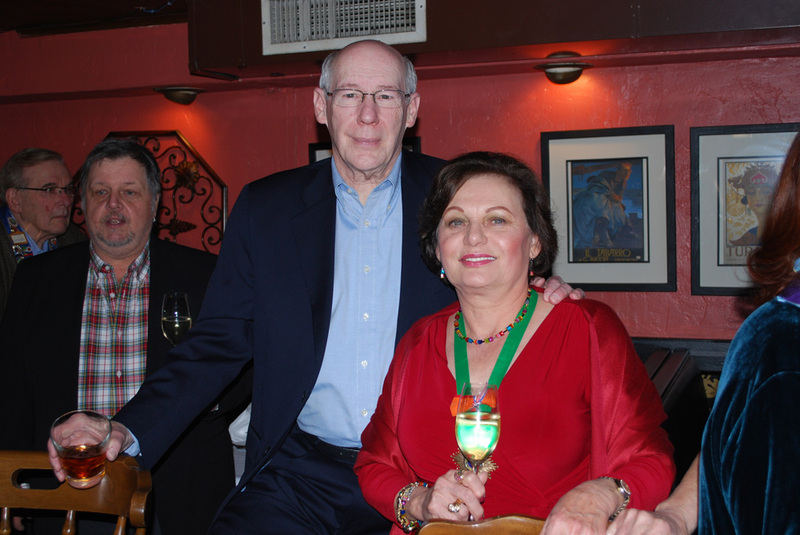 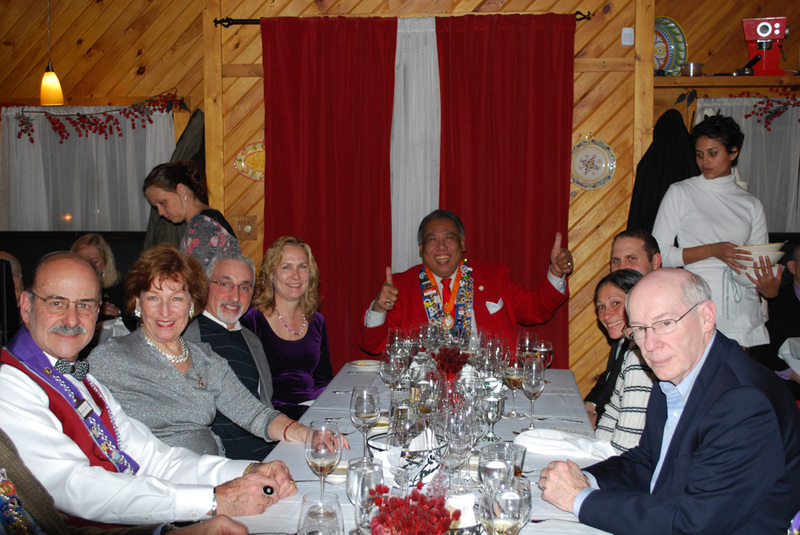 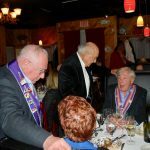 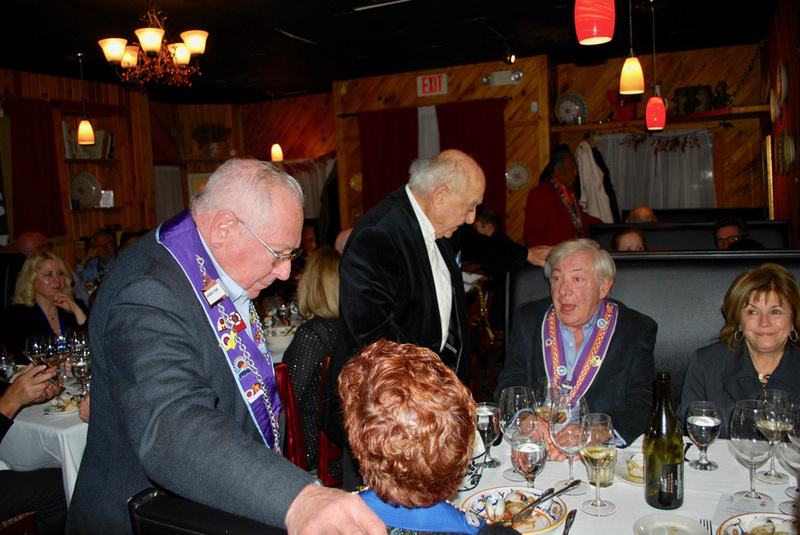 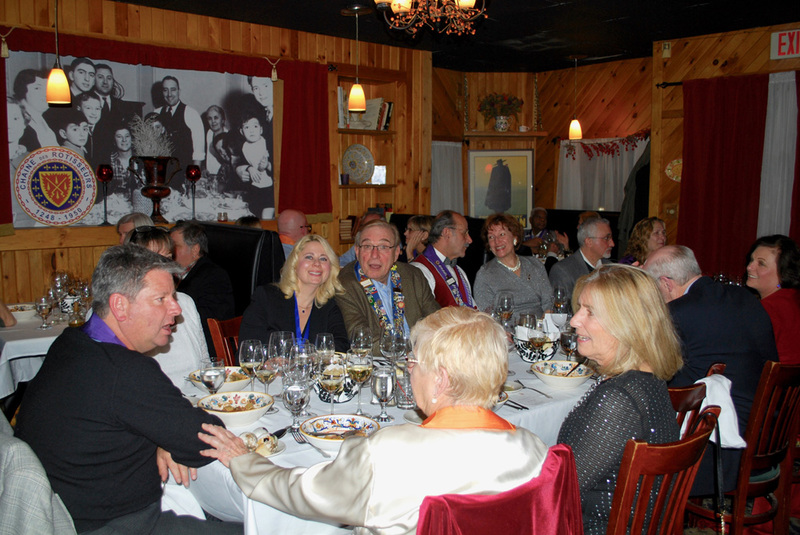 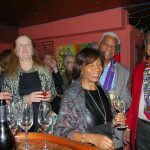 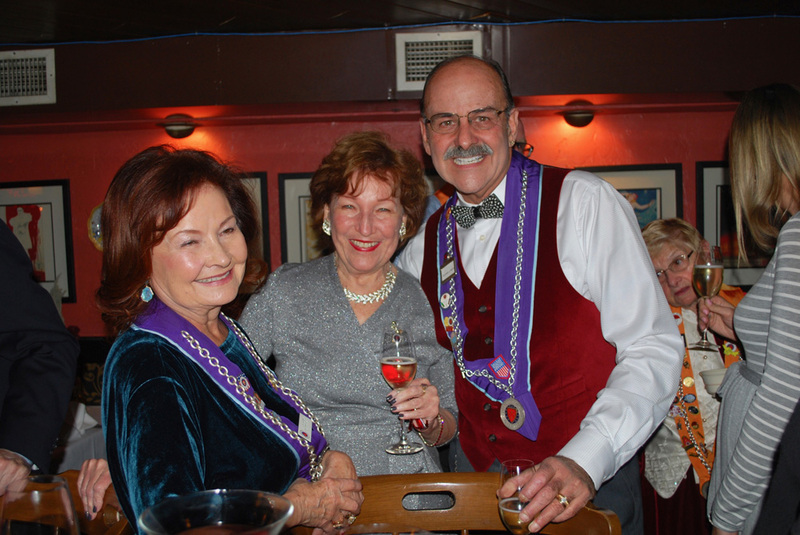 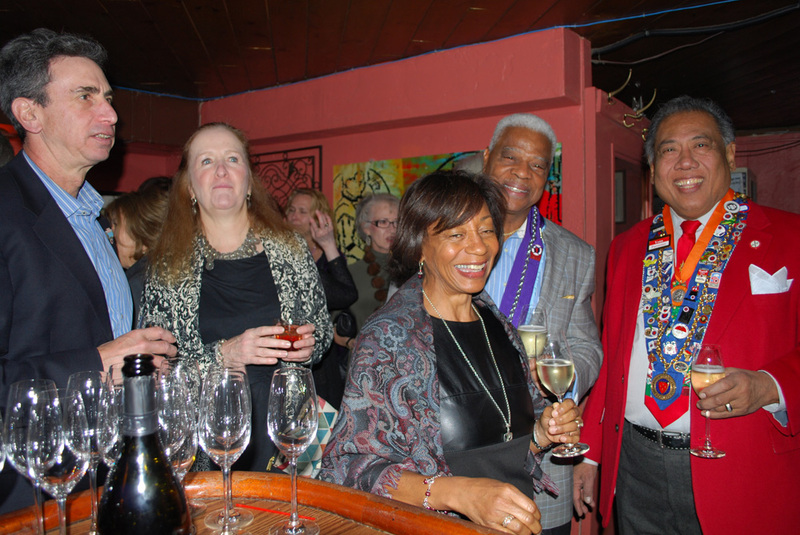 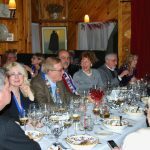 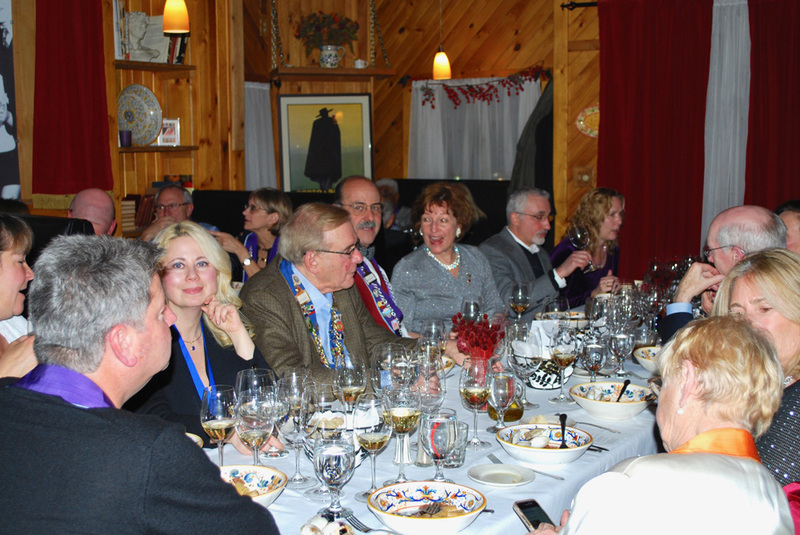 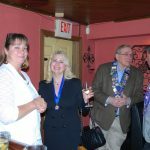 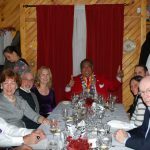 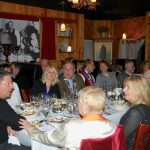 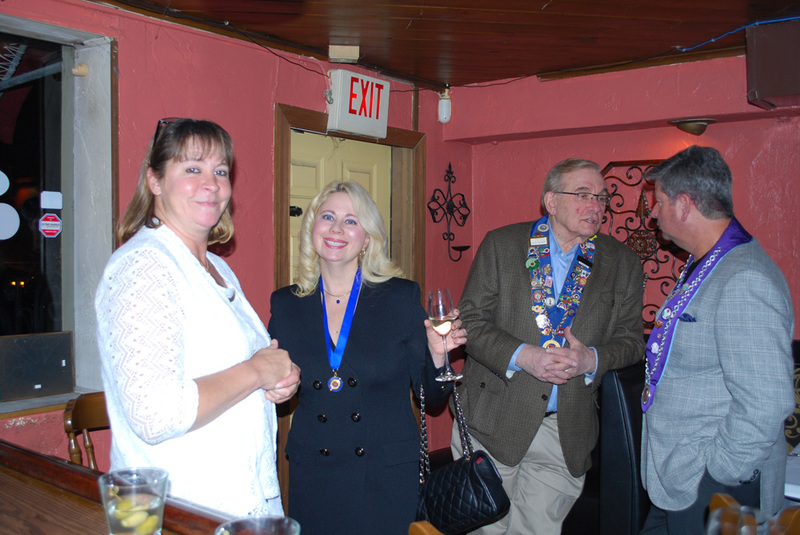 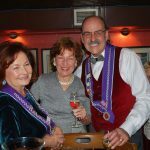 On Sunday, December 3, 2017, some 49 Albany Chaîne members and guests descended on the café and were greeted with flutes of Prosecco in the intimate bar area, before being escorted into the Tuscan Room for a multi-course feast that was Jim’s non-traditional interpretation of the Festa. 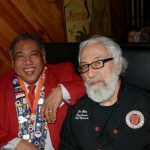 Jim was assisted by his son, Franco a talented chef in his own right. 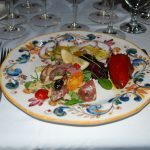 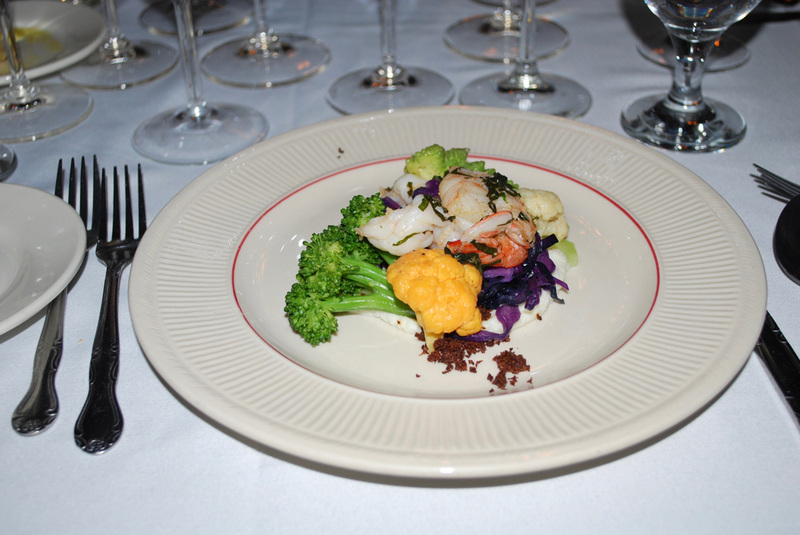 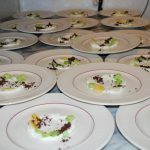 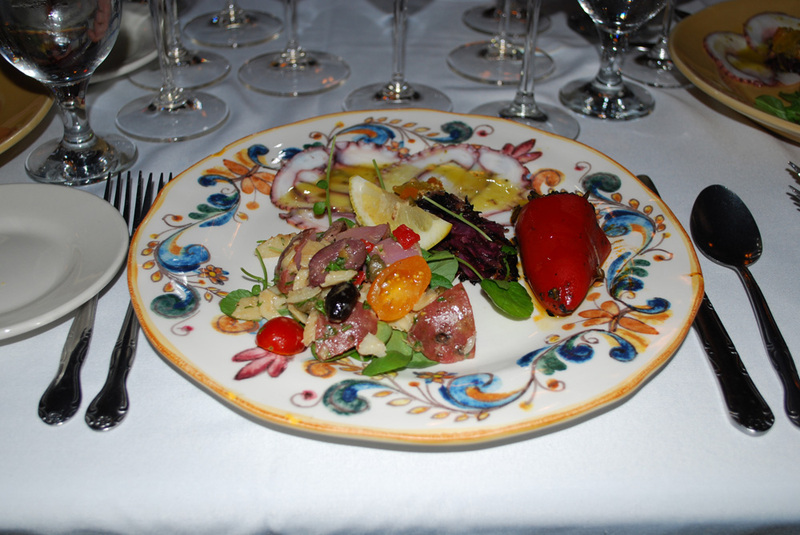 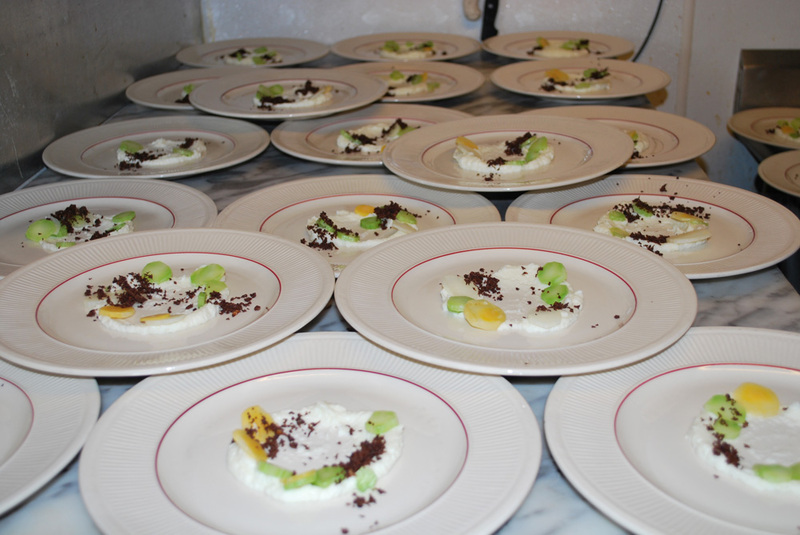 A seemingly endless progression of delightful and eye pleasing courses tickled our palates, and, by the conclusion of this meal, we were as stuffed as the red Pequillo pepper bursting with a jet black nero di sepia, one of the delectable items on each antipasto plate. 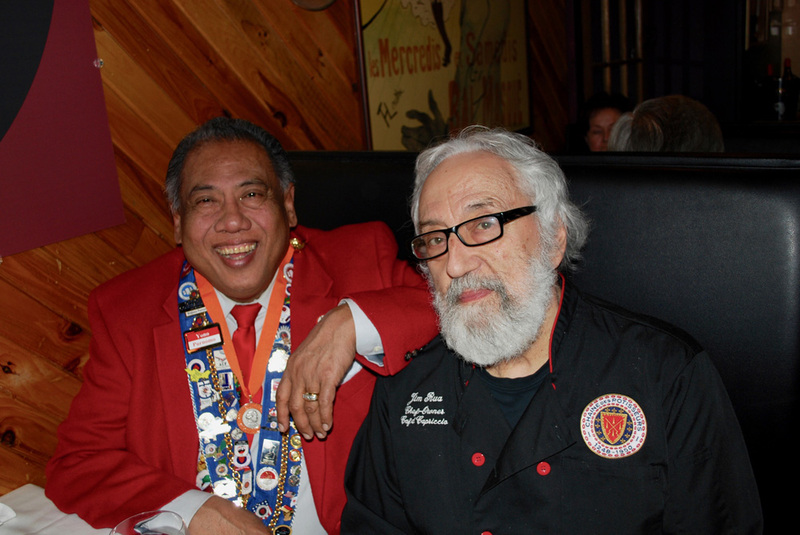 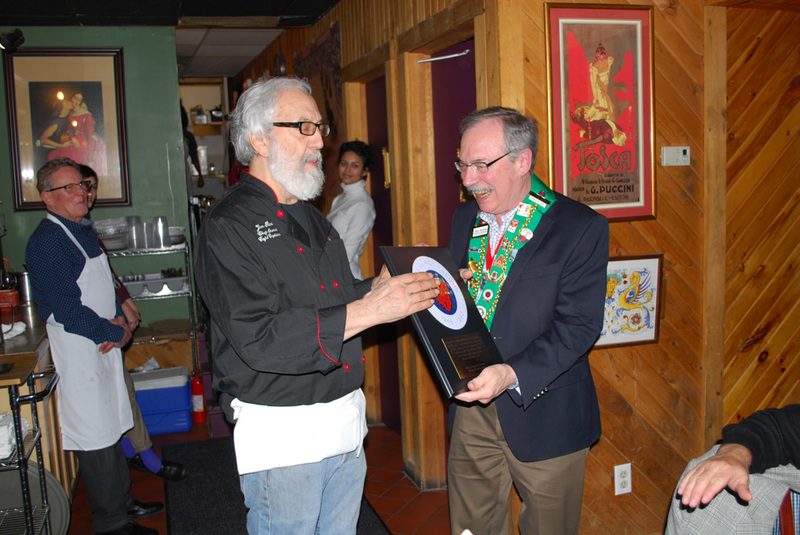 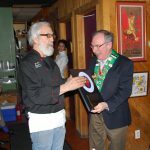 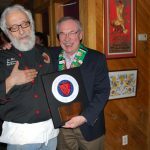 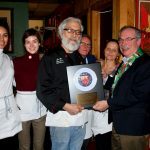 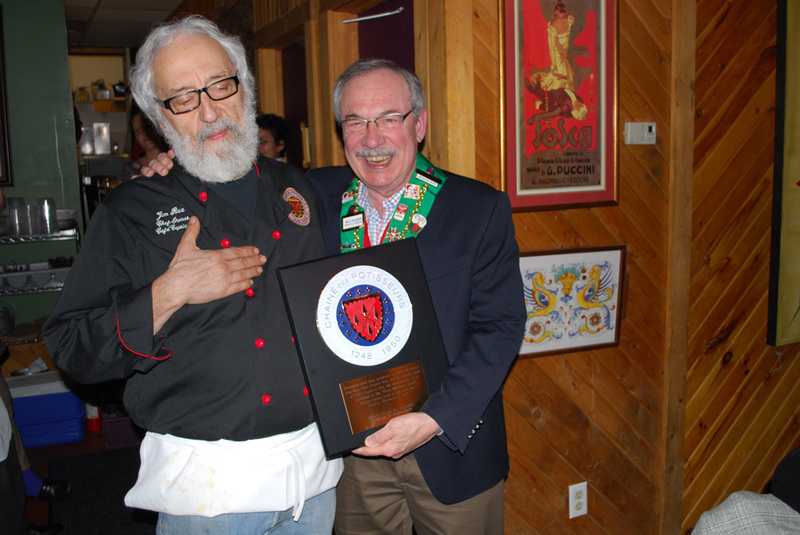 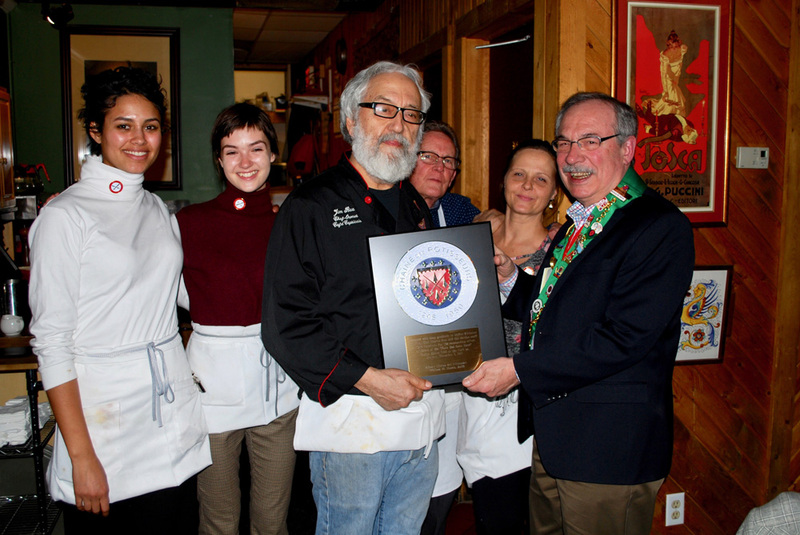 Following our non-fish dessert and coffee, Bailli Bill Harris presented pins to the servers and a Chaîne plaque to Chef Rua for his extraordinary effort.